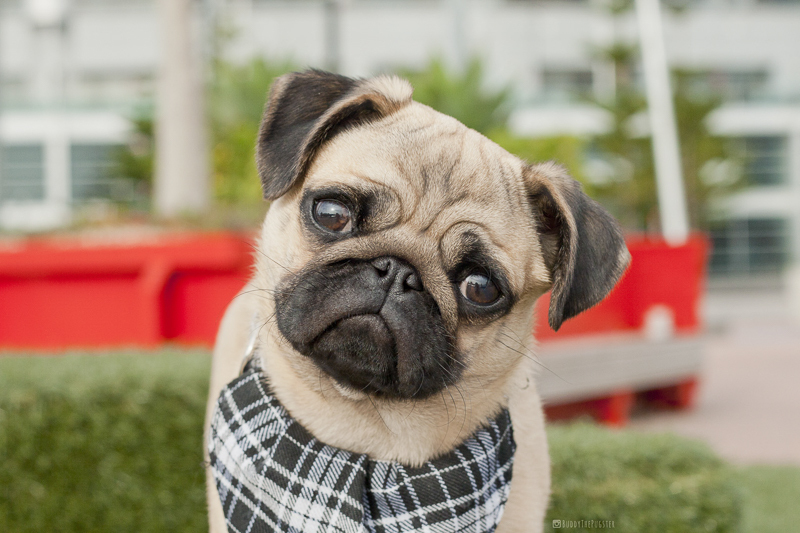 It is that fun time again where you get to learn all about a pug from the social media scene in the latest Social Pug Profile. This time round you get to learn all about the gorgeous pup, Buddy. He is amazing in front of the camera and is such a character. You’ll love him. We live near the city in Melbourne Australia. We are always roaming the city fringes. My ball! Even saying the word now is making my heart rate go up! I love playing fetch and will do it for hours. No, I’m not joking. Hmmm, I have to think hard about this. Hate is a strong word! I don’t particularly hate anything that most doggies do. I love attacking the vacuum, I don’t mind baths, I don’t mind having my wrinkles cleaned and I don’t mind having my nails clipped. Oh! I guess I really dislike it when my humans tease me with the ball. Sometimes I will bring the ball back and they will take forever to throw it or even do a ‘fake-throw’, I start crying and whinging at that point ? . Oh, and spiders. 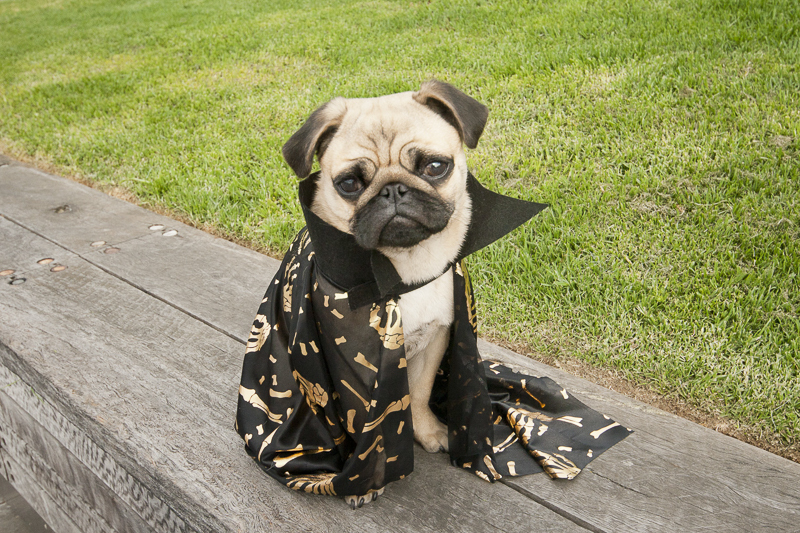 I am also a little bit of a Don Juan which has gotten me in trouble with the lady pugs of Instagram. I can’t help it when I think they are all cuties! This is also a hard one, because I have too many to choose from! *cheeky grin* I think my best quality is probably my communication skills between me and my humans! Pawrents have established this well when I first came into their lives. I think that is definitely key to a happy living situation at home. 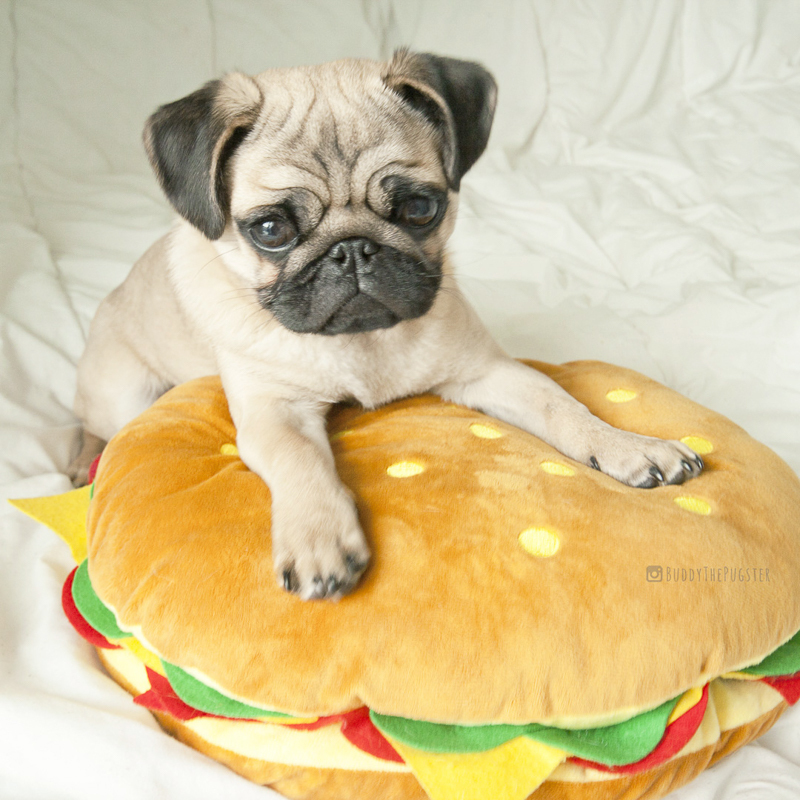 I understand what my pawrents expect of me and vice versa. I respond well to my name and pick up new tricks really quickly! That means lots of snacks which makes me a very happy puggie (despite my resting grumps face, I can’t help it!). My body clock wakes me up at 6:30 AM every morning (my poor pawrents hehe). I will walk on their faces and bite on Mommy’s hair to get some breakfast. Then I will bring my ball to the bed and drop it on Daddy’s head. This is a true depiction of how every morning look like! I will take a nap until the afternoon and Mommy will take me out for walkies and ball throwing if her schedule and weather permits. I also get lots of snacks while I am out. Occasionally, we embark on a photography binge, but that depends on how Mommy feels. Then we come home, I will nap and play more ball fetching and have more snacks and wait for dinner time at 6:30 PM. I start switching off at around 8 PM onwards ? You seem to go on a lot of adventures. Where has been your favourite place to go so far and why? I haven’t really explored that much yet but I definitely loved going to the Brighton Beach! I love having sand in my mouth and the colourful bathing boxes! I am really looking forward to my first road trip! Maybe one day I can meet Wynstan and Doug! I love your range of outfits especially your Spider-pug harness. Do you have favourite outfit and outfit supplier? 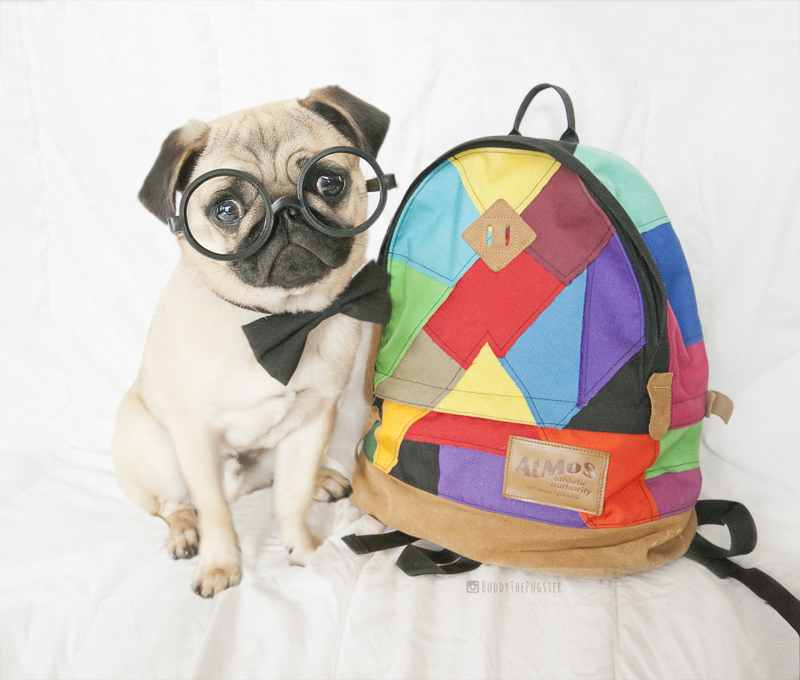 I am on Instagram: @buddythepugster and Facebook: Buddy the Pugster! 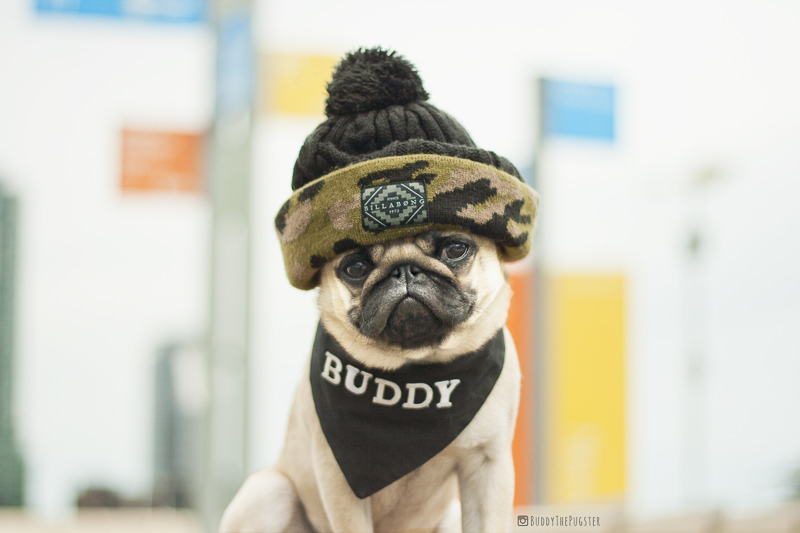 I hope you have enjoyed getting to know Buddy and be sure to leave a pug love note for him in the comments below. Oh u Don Juan cutie!!!! Loved learning all about you!!! !